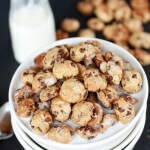 When I made cookies into cereal? Yeah, well that post got my brain thinking about other cereals that could be made. Obviously the old classics came to mind. Lucky Charms, Cheerios, Frosted Flakes. Pretty much just bowls of awesome sugar for breakfast. Personally I was a boring, boring cereal eater growing up. The truth is I can’t handle a whole boat load of sugar in the morning so I went for the Corn Flakes, Wheat Chex, Cheerios and Lucky Charms. Except I would actually pick around the marshmallow in the Lucky Charms. I know, weirdest kid ever. Now, if I was eating cereal for a snack, which I did way more than for breakfast, the sugary stuff was all game. One of the best after school snacks there is. So I made my favorite. But I made it better. And it is not scary at all. It is actually scary how easy it is. Mix the dough like you would a pie crust, then roll it out super, super thin between two sheet of wax paper, then use a pizza cutter to slice the dough into square, dust with cinnamon sugar and then use a really thin metal spatula to scrap the dough up and place it on a baking sheet. 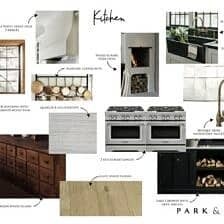 Bake, cook and…. So good with cold, cold milk. Becoming a daily summer snack. For everyone. I need to make more. Words cannot describe how much better this is than that old boxed stuff. These are so light, buttery, crunchy and cinnamony it’s insane. And I didn’t even use butter. Nope, multi beneficial, super healthy – coconut oil. I also used whole wheat flour. Words cannot describe how much better this is than that old boxed stuff. These are so light, buttery, crunchy and cinnamony it's insane. Line two baking sheets with a silpat or parchment papper. 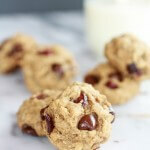 In the bowl of a food processor add the whole wheat flour, flour, baking soda and 2 teaspoons cinnamon. Pulse to combine. Then add in 1/3 cup coconut oil, 1/3 cup brown sugar, 1/8 cup sugar, vanilla and honey. Process until the dough looks like small peas and then add in the buttermilk and process until a dough ball forms. The dough will seem dry and crumbly, but this is fine. Dump the dough out onto a lightly floured counter and pinch any crumbles of dough together with your hands. Divide the dough into two flat disks. Working with one piece of dough at a time place a piece of wax papper over the dough and roll the dough as thin as you can, no thicker than 1/4 inch thick, but preferably an 1/8 inch thick (about the thickeness of a quarter). Remove the top piece of parchment paper. 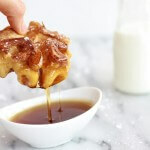 In a small bowl combine the 1/8 cup sugar and 3/4 teaspoon cinnamon. In another bowl melt the remaining 1 tablespoon coconut oil in the microwave. Brush the whole sheet of dough with the melted coconut oil and then generously sprinkle with the cinnamon sugar. With a pastry cutter, pizza cutter or very sharp knife, even the edges of the rectangle. Slice into pieces, about 1/2 inch squares. Pierce each square carefully 2 or 3 with a fork. 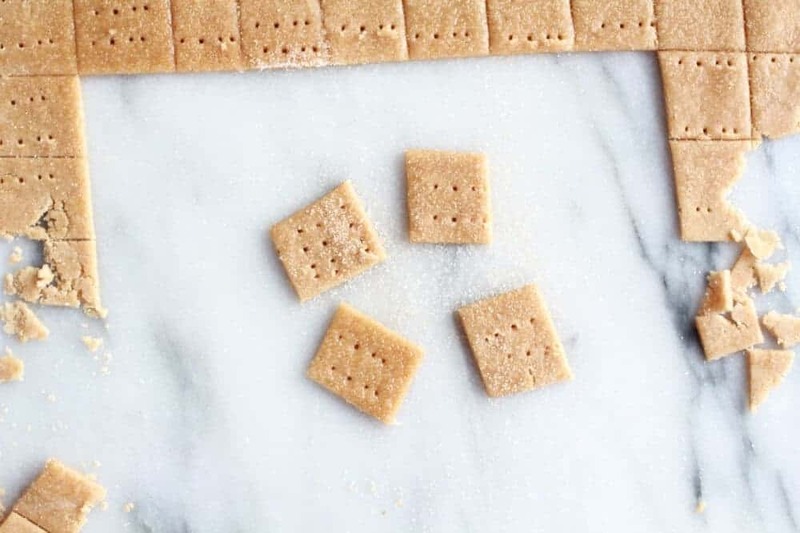 Use a very thin spatula and scrape the squares off the counter and then carefully use your hands to place the squares on the prepared baking sheets. Bake for 9 to 13 minutes or until lightly golden brown on top. Now go make some cereal. Genius!! 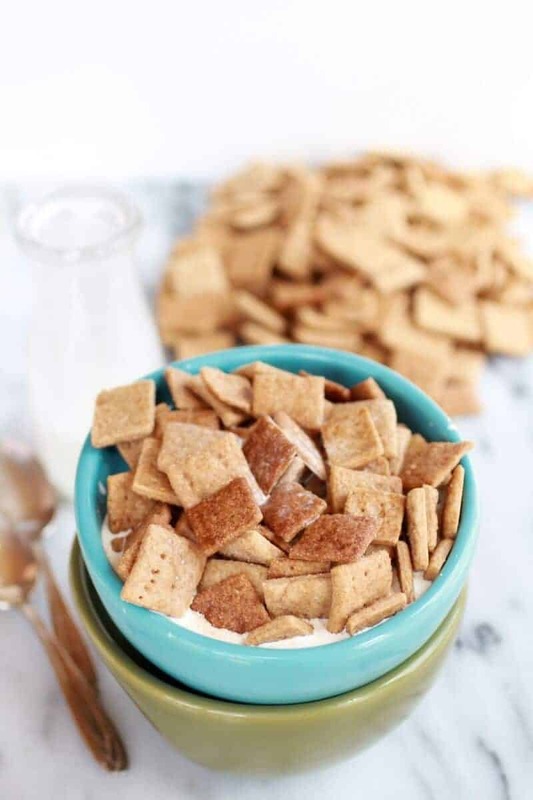 I love C.T.Crunch and happen to have a ton of WW pastry flour on hand from when I made homemade Graham Crackers. The process is actually very similar after reading your recipe. I am loving the melted coconut oil with cinn/sugar. Mmm, I bet your house smelled heavenly while baking! I am impressed that you got these so light! 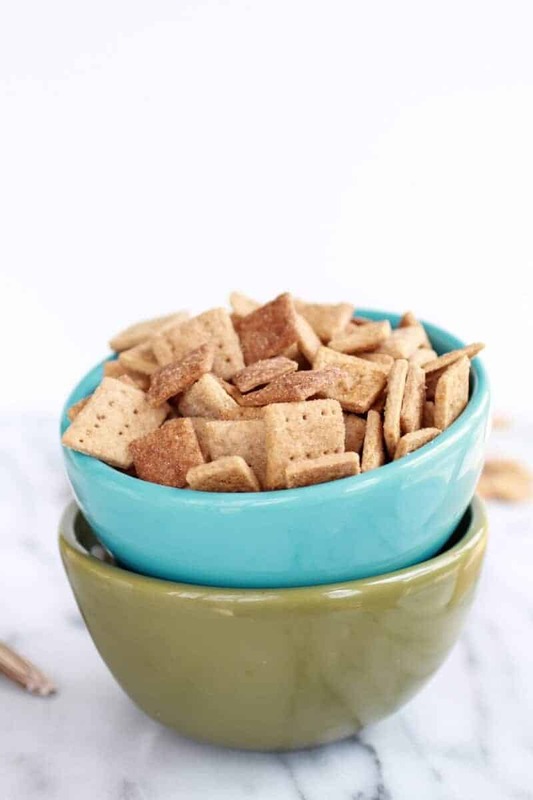 The only downside to my homemade grahams was that they werent as light and airy as storebought…whereas your cereal looks about a million times better! Pinned! Wow! Thanks Averie! I have to say I was really surprised how well they turned out. I was worried they would be dense and not buttery, but they tasted perfect! Oh and yes, the house smelled amazing! in the Instructions (section 2) u r writing to put the brown sugar but in the ingredients u mention only 1/8 cup of regular sugar… can u write the amount of brown sugar please? The amount of brown sugar is 1/3 cup and I fixed the recipe. Sorry about that and thank you for letting me know! So fun. And so much better for you than the box. 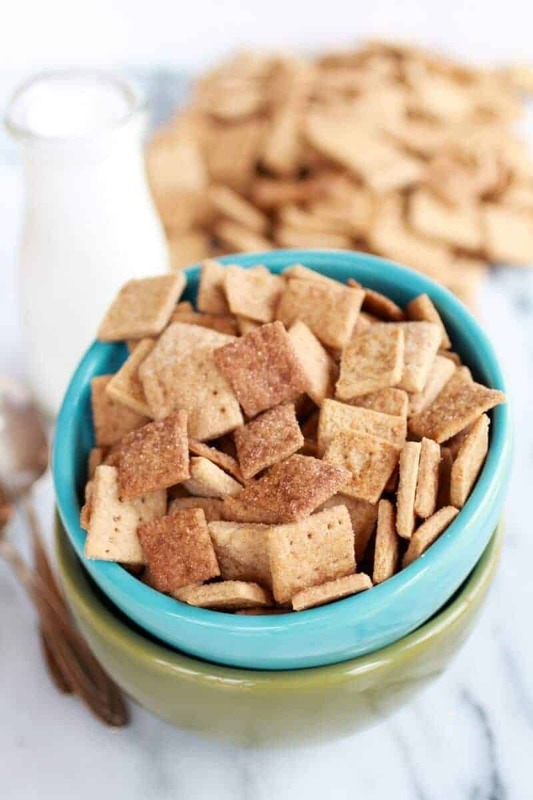 I loved cinnamon toast crunch growing up and I still love it, I just don’t buy it for fear of eating the WHOLE box. Love this, Tieghan! Hehe! I feel you you, Cassie!! This is actual whole grain so I am gonna go ahead and say you could eat bowl after bowl and not feel like you are on a sugar high! Yeah! 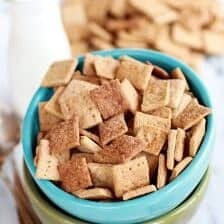 When I was in high school, my girl friends and I would sit on the couch on the weekends and eat cinnamon toast crunch. SO GOOD! Your pictures brought back fond memories 🙂 I can’t believe how perfectly this cereal turned out! I need to have a reunion with my ladies and make a batch for old time’s sake! Haha!! Happy to bring back old and fun memories. I would say a reunion is needed. For sure!! How cool is this! I buy this cereal often, my husband is the one who can’t get enough. I need to surprise him with this. Yes, you do! He will love you to endless amounts the day you do! I don’t even believe what I am seeing! I am in love! I read this as I finished my bowl of Cinnamon Toast Crunch with milk. Yes…that boring stuff in a box is still an adult mainstay of my routine. I can only imagine what this would do to me since I actually quite love the plain old store bought not even name brand version! Now wondering how to get it into production so that I can have a bowl every single day. Haha! Yea,we have a box or maybe 2 in the kitchen right now since the homemade stuff is long gone. Even my brothers said the homemade is better and they have been begging me to make it ever since the last batch was finished off! Whaaaat. This is only my favorite cereal EVER! Amazing, Tieghan! OH MY GOSH. 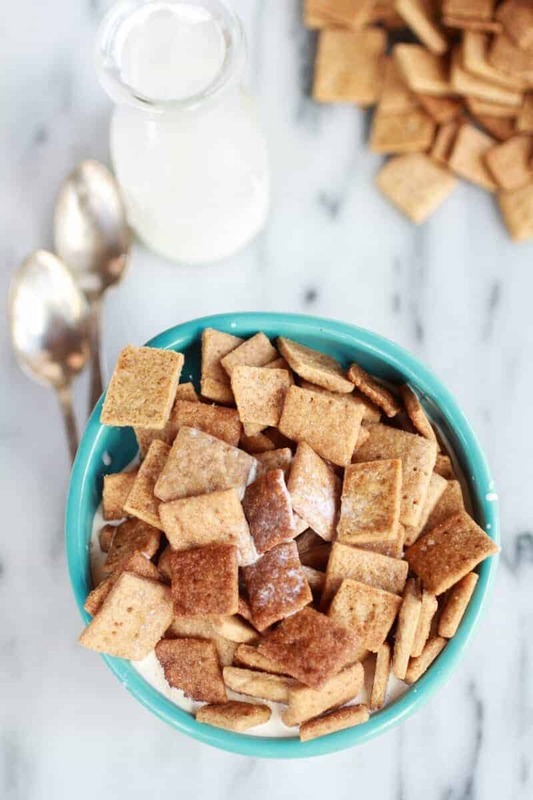 Cinnamon toast crunch is like, one of my favorites ever. And my mom’s die-hard favorite. We’re huge cinnamon girls in this house! I NEED to make this for her and I.. though I doubt it’d ever see milk or a spoon — we’d eat it plain! Haha! Plain is the way my brothers eat it, but I am a milk girl! Haha! I so agree! Thank you, Jennifer! How fun! I actually might use this to add cinnamon to the pb toast crunch cereal I bought. I expected it to be pb and cinnamon toast crunch but evidently not. I want to fix that lol. Umm…. that sounds amazing!!! 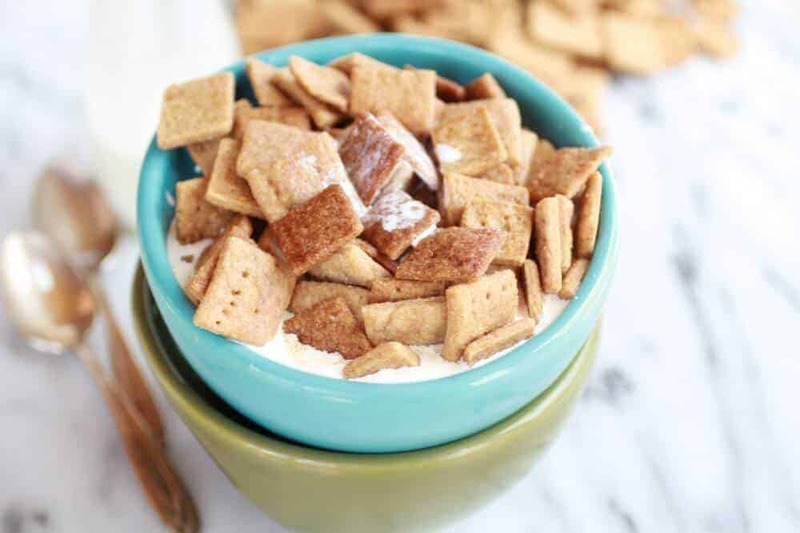 I need to try the peanut butter toast crunch! 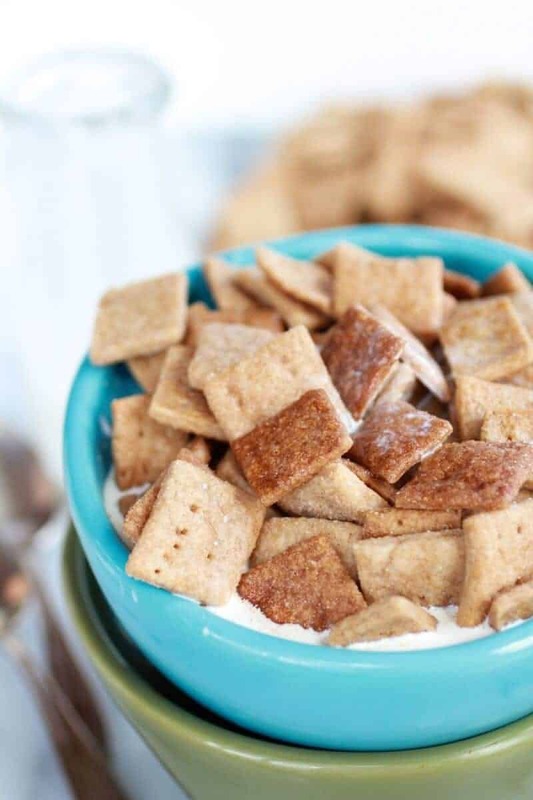 The out of box pb toast crunch is just okay. I think with the addition of cinnamon and sugar it will rock. Pass the milk (ice cold please)!!! I’m having a bowl of this!!! Haha! Thank you so much, Robyn!! 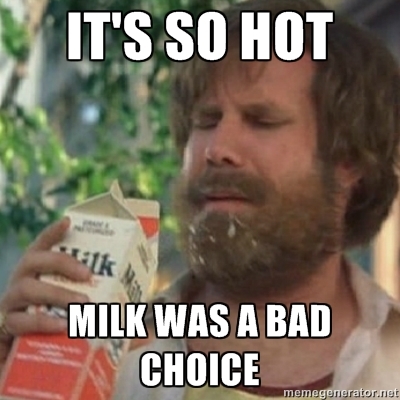 Oh and my milk has to be ice cold too! It is the only way to drink milk! Oh man oh man!! I’m a total sucker for CTCrunch! Hehe! I know, I think every one is! One of my favorite cereals by far! Thanks for sharing…can’t wait to make and share with my kiddies! 🙂 Pinning! Thanks Liz!! Hope you guys love this! 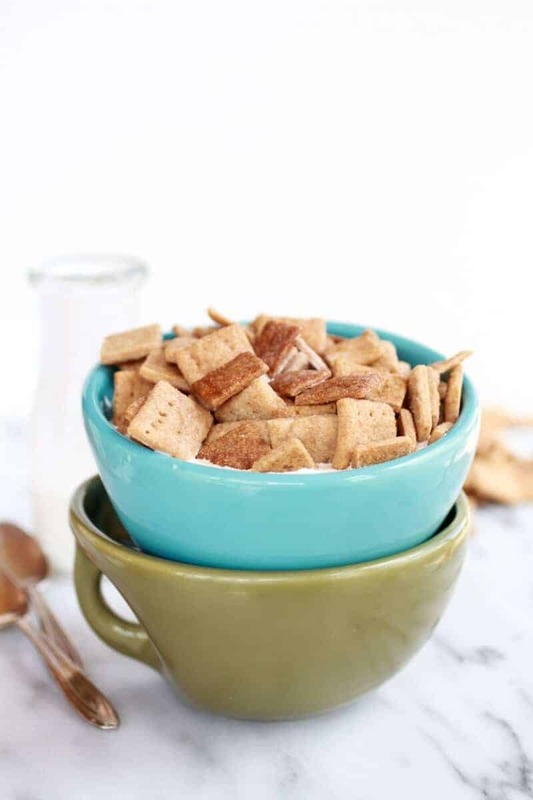 LOVE the idea of homemade cereal! Oh my gosh I am TOTALLY making this! 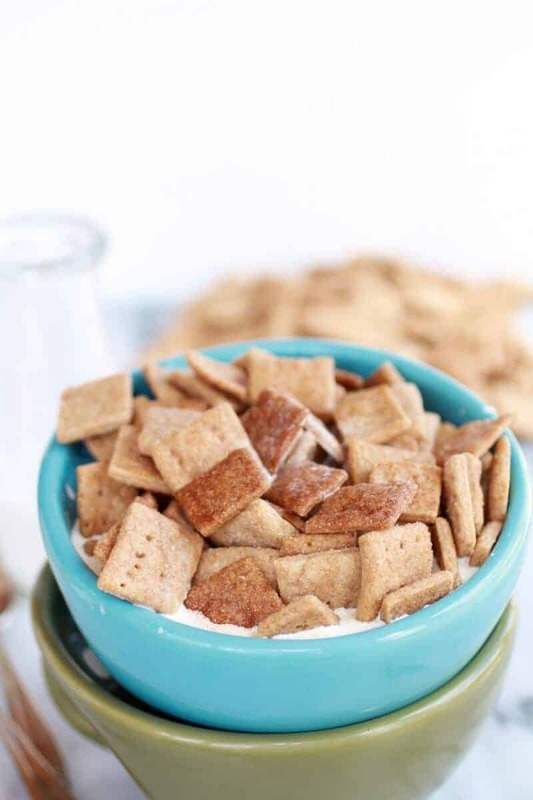 Cinnamon Toast Crunch is my all time favorite cereal, love this recipe! Thank you!!! It is a good one! These are amazing. Also, they would make the most adorable tiny smores ever. S’mores!! That is a genius idea! I have to do that! Stop it. I can’t handle the fabulousness. You bring all of us back to your childhood and I love you for that. In a non-creepy type of way! Haha! That is not creepy! Oh em gee, you are a genius! A prodigy, really. This is too amazing for words. Haha! Thank you so much, Amy! Um, it looks way better than box! Crunchy cereal and ice cold milk is the best way to start a morning. My family thinks I’m crazy, but I adore shredded wheat and fruit (with milk, of course! ;) in the morning. Oh, and with cinnamon. This is an even better combo! Yes, ice cold is the best!!! Your breakfast sounds awesome! So my kids are crazy about this cereal! Definitely something I will need to try and see if it passes the test! I think everyone is crazy about this cereal! Thank you, Nicole! 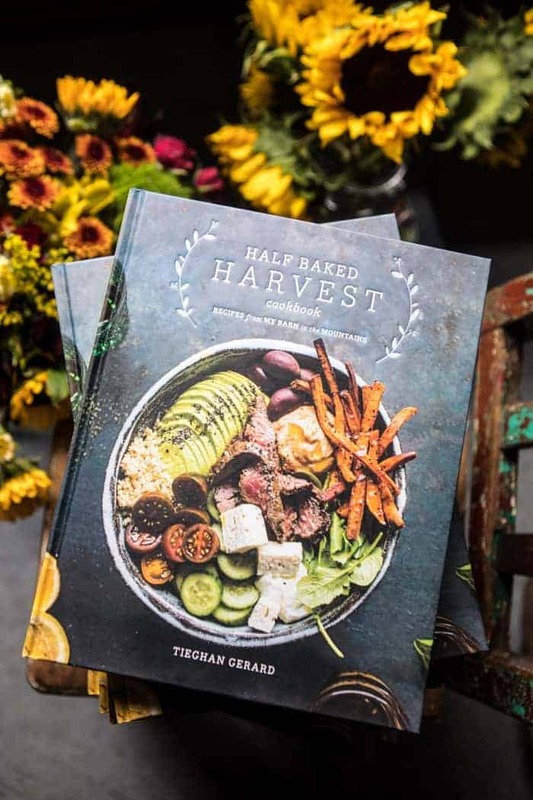 What a super fun idea Tieghan, I love this!! I haven’t had CTC in forever, but it was a fave when I was growing up! Holy smokes Tieghan, this is freakin’ genius. Like unbelievable. Question, I’m pretty awful with a rolling pin. Do you think you could put this through a pasta machine on a thick setting? Seems like it would work well! Hmm? I do not know, the dough is kind of dry. Maybe if you added a bit more buttermilk it would work. It might just fall apart though. When I get home to Colorado I will have to try that cause it is a pretty good idea!! 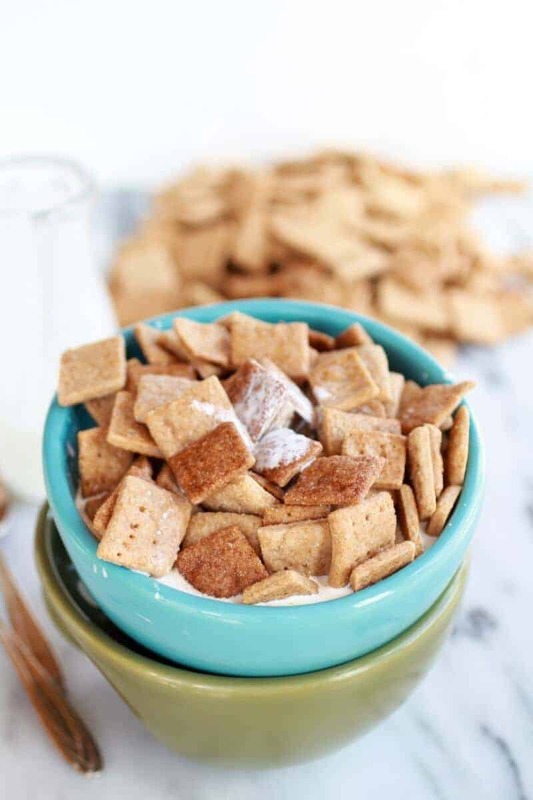 Cinnamon toast crunch is still my favorite cereal, however, I always feel so guilty after eating it. No more with this recipe! You have no idea how excited I am to make your homemade version. Love this! 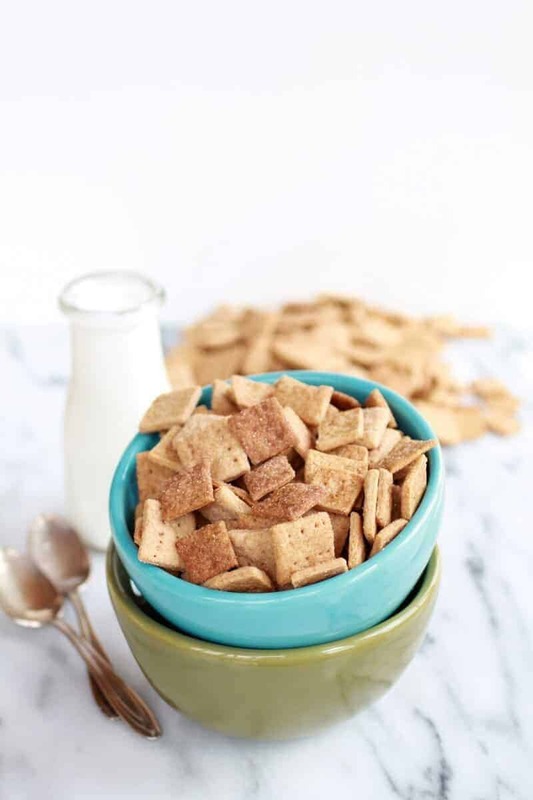 Cinnamon Toast Crunch is and always will be my favorite cereal!! This homemade version sounds even better! Trust me, the home made version is so much better!! OMG! Best cereal ever! This is fabulous. 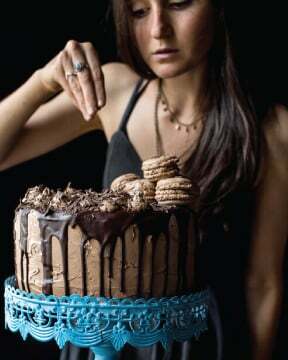 Good gracious, lady, you make the most DELICIOUS things! I love this idea so much! Love this! 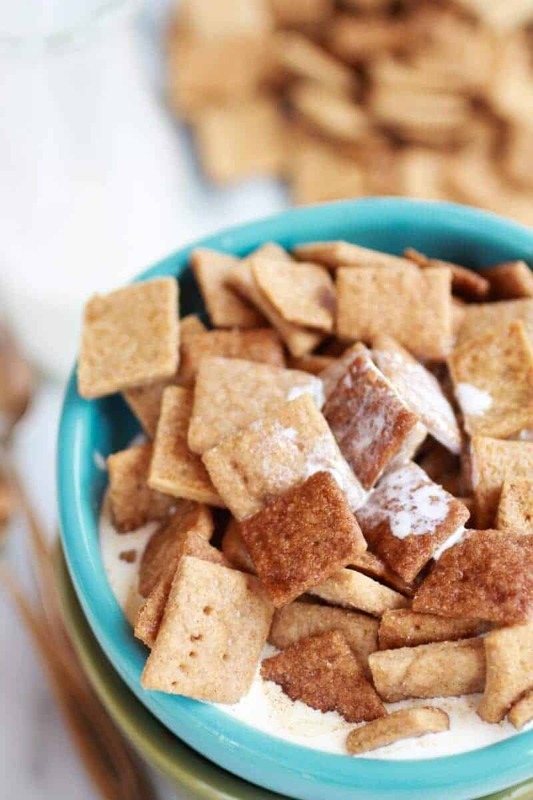 Cinnamon toast crunch was one of my favorites as a kid, haven’t had it for so long! 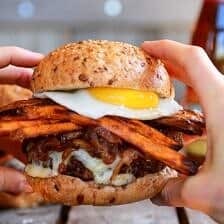 Must definitely make this sometime. Thank you so much!! I am so happy you like my site! Tieghan I want to go on vacation in your brain LOL – I’m loving this. Haha, I am pretty sure you do not want to do that!! Ha! I think it is everyones favorite! Thanks Gerry! Brilliant! You are so innovative! These sound insanely yummy! No way did you just make your own cereal! This rocks! Loved that cereal as a kid. 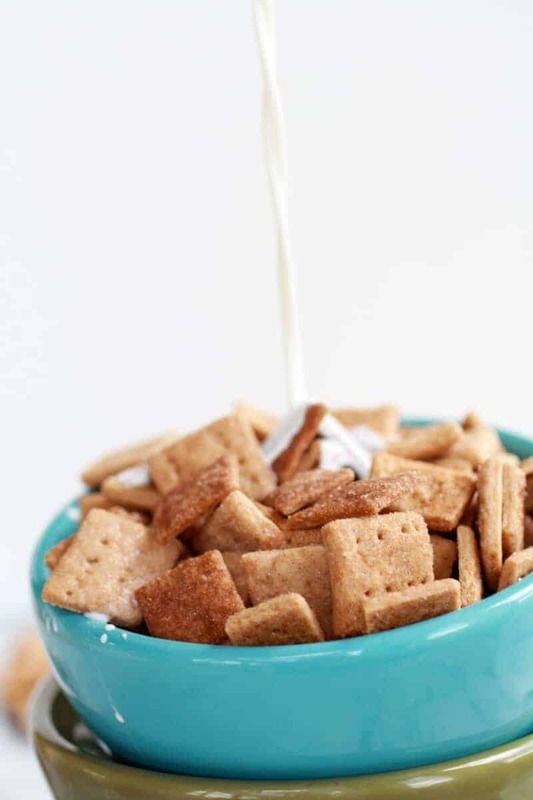 Wow, that is amazing that you made your own cinnamon toast crunch cereal. It also looks so very pretty! Oh I hope it works so well!! You may need to add more buttermilk to keep the dough moist. Let me know how is works! This is genius!! I’ve thought of making homemade dry cereal before and I’m like nah that can’t be done (other than like granola) – and you did it! This looks way better than the store bought stuff and healthier/preservative free. Awesome post!! Hehe!! Thank you so much, Jaclyn!! That means so much! Seeing this put a huge smile on my face! I remember begging my Mom to buy that cereal when I was a kid (a reeeeaaallly long time ago! ), but she only bought it once in a while. I cannot wait to give this a try! Oh man!! You will love this!! Hope it gives you that fix you are looking for! Yay for homemade cereal! I am so impressed by this! Cereal was always my after school snack too. I’d eat Cap’n Crunch Berries with my baby sitter. I recently bought a box after over a decade and they brought me right back. Thanks Laura! The homemade version is so much better. Trust me! OH MY GOSH. I just saw this on Pinterest. This is stinking amazing. I am so making this. You totally got me at the whole wheat and coconut oil. Yes, cereal is the best snack! Thanks Abbie! And my kids would love to live with you… they pick out all the marshmallows! Haha! No way! I thought I was the only person who did that! LOL! Sorry. . . I guess my expectations were too high. . . Tasted like a soggy bowl of graham crackers. . .
Oh man, I am so sorry! I guess we all have our own taste buds, but thank you so much for trying the recipe! Hi Jessica, I am not really sure I totally understand what you are asking? I think you should be able to do both the options you listed. So far so good. I used half cake flour and half whole wheat flour for the WW pastry flour, we live overseas so I don’t even know if it is available. I accidently used the extra 1 T of coconut oil in the dough since it wasn’t seperated with the sugar & cinnamon topping. 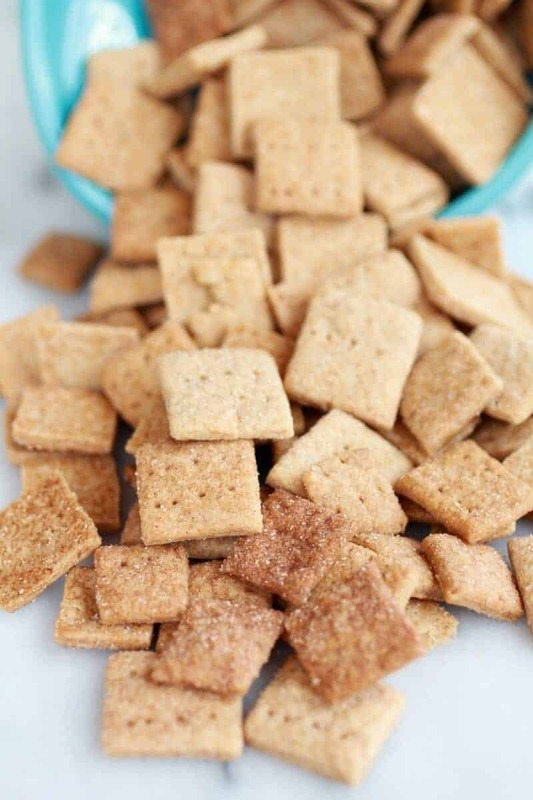 They taste amazing and baked up light and crispy, like a cinnamon graham cracker. The true test will be tomorrow morning when the kids eat it for breakfast. Even if they don’t work as cereal I’m sure they will eat them by the handful. Oh, and I made mine with the kitchen aid, so it can be made without a food processor! Hope you really love them!! Thanks! My turn out great, but when my boy put the milk in, it sought of gone mushy immediately. If you eat it dry it’s great. I do not know if you have any suggestions for that? 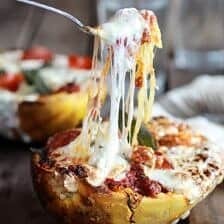 Hi, thanks for posting this recipe. Any thoughts on how well it would hold-up inside a hollow cake for about 12-15 hours? Would the moisture be too much and ruin it, do you think? Or is it more like a pie crust and able to handle a bit of moisture. Thanks for any feedback. I want to make a cereal center for my kid’s ‘piñata’ cake. (https://www.nordicware.com/store/product_detail/pinata-cake-pan#.VAAV7rxdUYE) I plan to cut it into star shapes rather than squares–have you tried a cookie cutter with the dough? Hi! I think the cereal should hold up pretty good, but I cannot be positive since I have never actually tried it. And cookie cutters work great for this!! Hope you all love it. Thanks! My daughter asked for this cereal by name. I’m going to buy it, make this homemade and then switch. And see what happens…. I can’t wait to try these! Can you sub coconut sugar for the regular sugar in the recipe? Yes! Coconut sugar will be great! Hope you love this! Thanks for the recipe but there is still wayyy to much sugar. Your daily safe intake of sugar is exceeded in one cup. Boo! I’ll tweak it to be actually healthy but a good start. Thanks! I was quite impressed with how well this turned out! Next time I will add a little salt though. Also I really wish I had made them thinner (but I was hungry, couldn’t wait to try! LOL). I did not use whole wheat, I used unbleached flour. Did not put any white sugar either and they were swell! Thank you so much for the recipe! Will make again and again. How long will this keep for, if stored in air tight container? Hey Lia! It will keep two week, thanks! What is silpat? Do you mean silicone? I’m confused. I hate to put it this way, but did you spell check before publishing? I think “papper” is “paper”. Am I correct? This looks like a great recipe but it is difficult to read because of these mistakes(?). Hi!! Yes, a silpat and silicone are the same thing. Silpat is just the brands name. So sorry for the confusion. Please let me know if you have any questions at all. Thanks! Just a heads up–your site is automatically redirecting to a phishing page as a “Microsoft Alert” which gives an 800 number for you to “talk to an engineer.” DO NOT CALL THEM. And please, whomever you’ve teamed up with to allow ads on your page, I would look into them before agreeing. Thank you so much for letting me know. I will look into this ASAP. Can the Whole wheat Pastry flour be substituted? 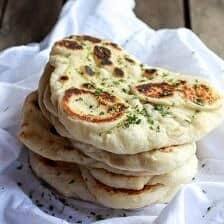 I’d like to attempt to make these Gluten Free, but wondering if I omit the Whole Wheat pastry flour and use GF flour for all of the flour called for would change the texture too much? Hmm, I have never tried that, so i really can’t say. I think it could be done, but again, I don’t know for sure. Let me know how it goes! Instead of using a parchment paper on the bottom and then transferring onto your sheet pan, you can roll onto a silicone mat and then use something that won’t damage it to cut (I’ve used a plastic pastry roller or frosting spatula). Then just lift the whole mat and put on your pan. The pieces will separate as they bake. Ah such a good idea! Thank you! It looks very delicious. Fantastic. 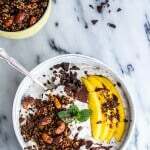 Can I use a dairy free milk like hemp milk or even coconut milk ? Sure! That will be great! I’M SO EXCOTED TO TRY THIS!!! But wondering if I can substitute the buttermilk with whole milk? I hope you love this recipe! Thank you Celine!